Agreements signed for Direct Sourcing of Handloom Products. One of the few things which have kept us together is our craftsmanship; our weavers have been able to restore our tradition, creativity and skill which we have always been known for: Shri Sachin Tendulkar. 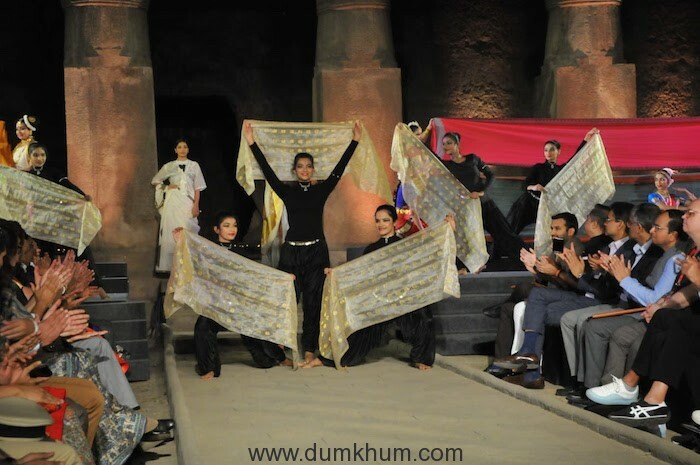 Artisan Speak held at Elephanta Caves to showcase GI Textiles. 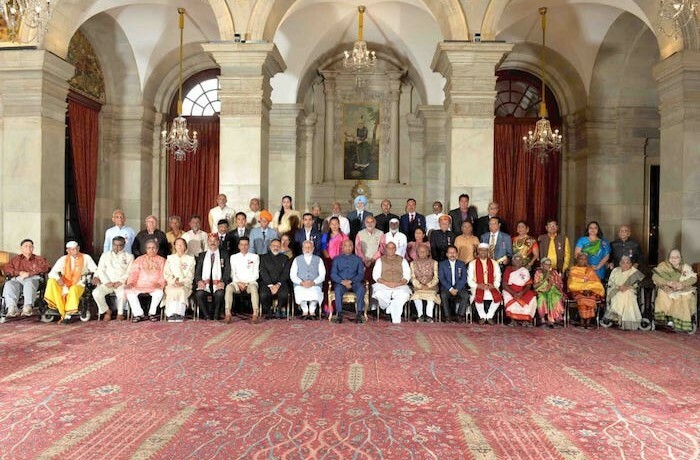 The Government of India and industry players have entered into agreements whereby the Government will link textile companies and handloom clusters, enabling the textile firms to directly source their requirements for handlooms from handloom clusters. The strategic partnership between big brands and handloom clusters is aimed at establishing long-term market linkages between key industry players on the one hand and handloom weavers on the other; this will ensure sustainable development of the sector, resulting also in sustainable and enhanced income opportunities for weavers. 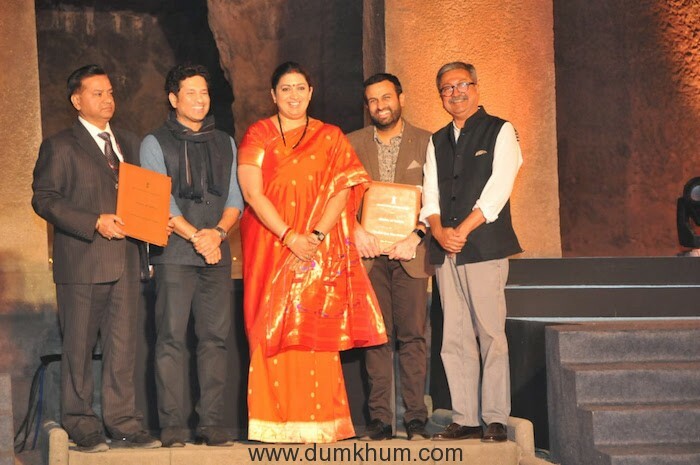 The MoUs were signed at Aritsan Speak, a unique event organized by the Ministry of Textiles, Government of India, at the UNESCO World Heritage site Elephanta Caves near Mumbai today. 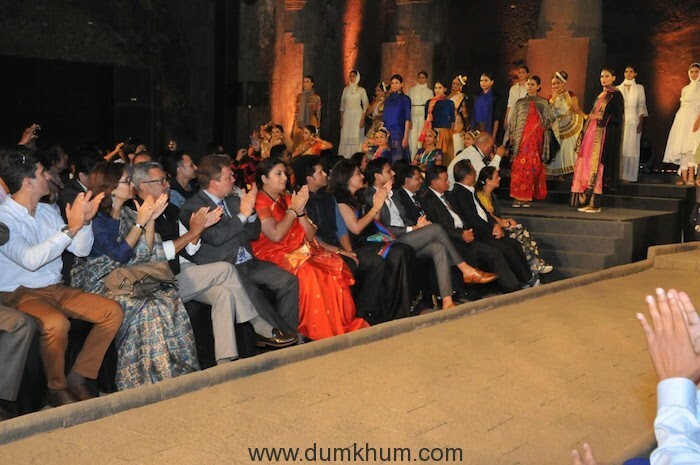 The event has been held to showcase the GI Textiles of India, through a confluence of fashion, music and dance. The Union Minister for Textiles, Smt. 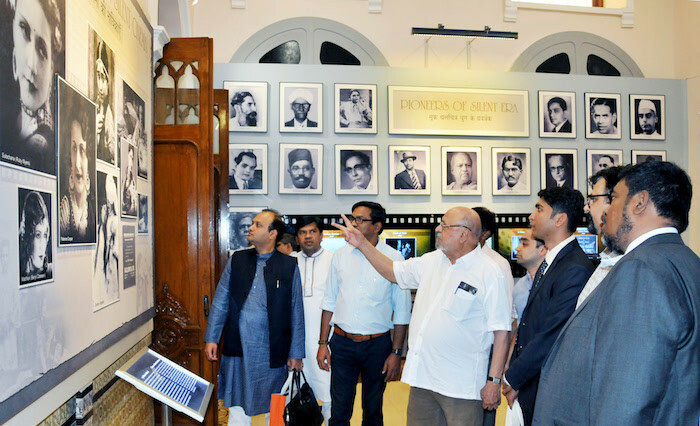 Smriti Zubin Irani; Secretary, Textiles, Shri Raghvendra Singh and other officials from the Ministry were present on the occasion. 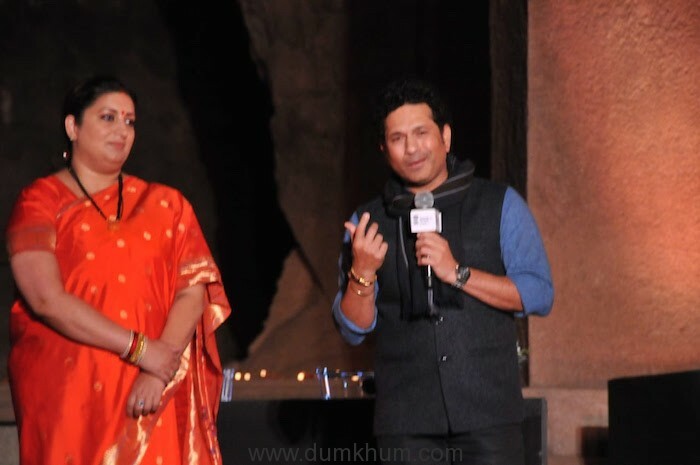 Former Indian cricketer Shri Sachin Tendulkar was present, on behalf of Arvind True Blue Limited. Shri Sachin Tendulkar said, “I have always been wanting to come here as a schoolkid, but could not due to various reasons. Today is a special day and a proud moment for me. India is very diverse, with huge variations in the clothing, food habits and language of its people. Despite this, one of the few things which have kept us together is our craftsmanship; our weavers have been able to restore our tradition, creativity and skill which we have always been known for. I thank the Textiles Minister for this initiative; the weavers have been facing a lot of challenges due to introduction of fancy new machineries. The actual skill has been challenged, for which India is known for. India might be the only country where handmade articles are way cheaper, while in other countries it is way costlier. 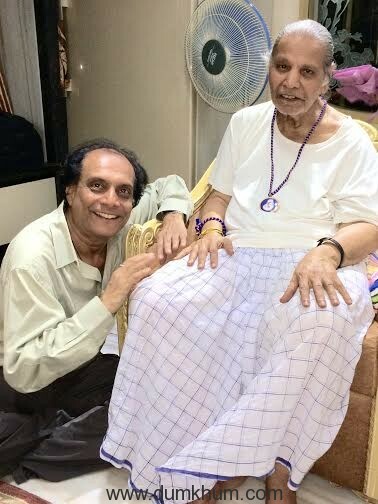 The reason for this, I think is that handmade articles are made from the heart; this makes us recipients of the blessings of weavers. Coming to partnership, this is a great one. We have 4.3 million people involved in the sector, second largest to agriculture. The partnerships will help us setting standards globally. Like the “Men in Blue”, I am confident that this partnership will enable us to reach out to various parts or the world and show what India has been known for. I am confident that this journey will be a wonderful one and am looking forward to watching the showcase of Indian textiles today. Thank you very much for inviting me”. Under the agreements, the Weavers Service Centres (WSCs) under the Office of DC (Handlooms) will enable textile firms to directly source their requirements from handloom clusters, as per defined quality, cost and time constraints. This will also result in better price realization and improved market understanding for weavers. The historic occasion will mark a new beginning of major commitments by the private sector towards the development of India’s handlooms. 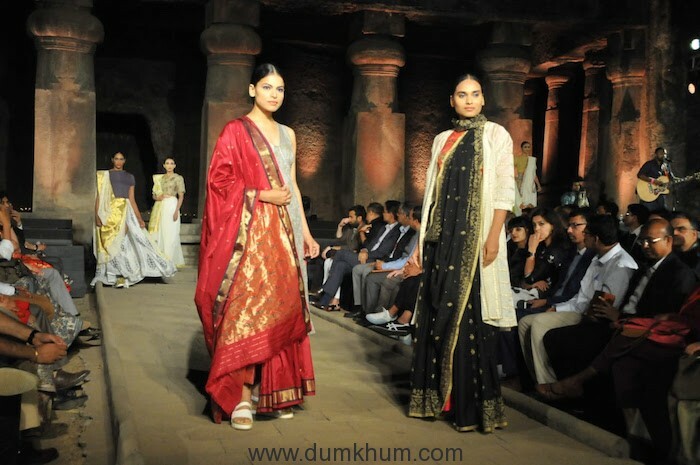 The occasion was also marked by a grand showcase India’s rich textile tradition, through a curated cultural show, with participation of leading designers. The presentation by established and emerging designers along with artisans was based on GI (Geographical Indication) textiles, drawn from various regions across India. The show brought to light the potential of GI textiles, so as to promote and build awareness of such products and to strengthen skills and supply chain capacity of grassroots stakeholders. A cultural programme comprising music and dance performances was also held on the occasion. The first-of-its-kind event at Elephanta Caves was organized by the Ministry of Textiles, in partnership withIMG Reliance.